Home » Universal Orlando Shines For The Holidays! Running daily through Jan. 6, guests visiting Universal Orlando can celebrate the most wonderful time of year with a variety of holiday celebrations. 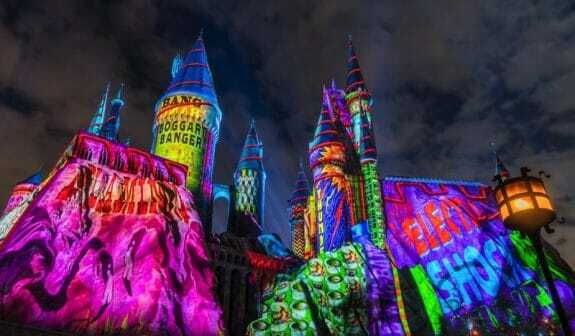 The magic of Christmas comes to life in an all-new The Wizarding World of Harry Potter specular. 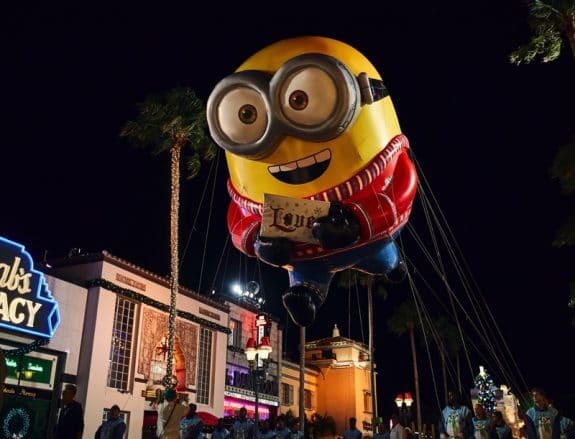 Visitors can also watch the all-new larger-than-life balloons and floats fill the streets during the all-new Universal’s Holiday Parade featuring Macy’s. For the first time ever, Christmas is coming to The Wizarding World of Harry Potter at Universal Orlando. Guests will be wowed by uniquely themed Christmas decorations, garlands and lights as they walk the streets of Hogsmeade and Diagon Alley. 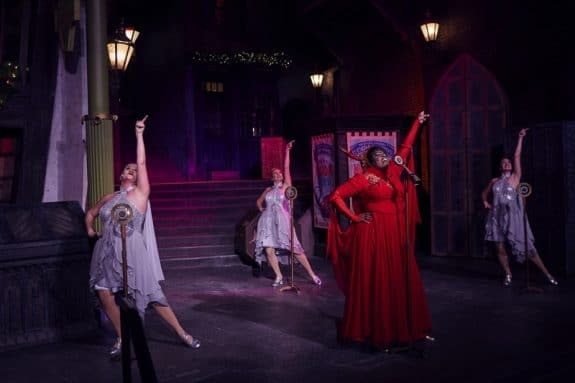 Visitors will also enjoy special holiday themed food and holiday performances by the Frog Choir and Celestina Warbeck and the Banshees. 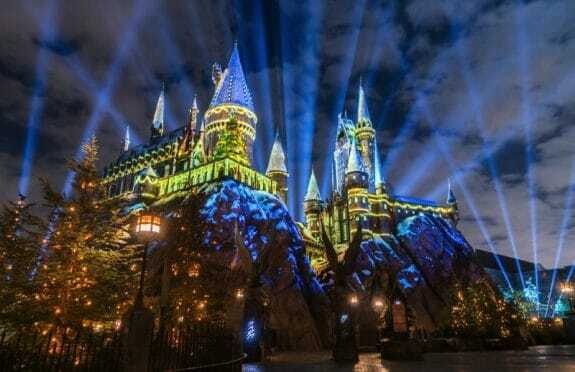 And as night falls, projection mapping and lighting will wrap Hogwarts castle for “The Magic of Christmas at Hogwarts Castle” . Also new for 2017, Guests will experience an awe-inspiring parade like no other during Universal’s Holiday Parade featuring Macy’s. 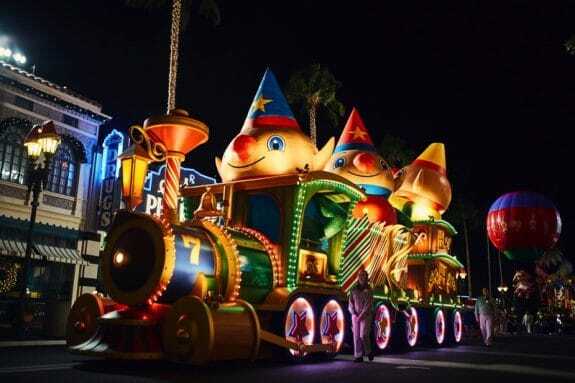 Universal’s incredible entertainment team has worked to create a massive parade that will highlight traditional holiday favorites and some of today’s most popular characters. The all-new parade will feature more than 30 larger-than-life floats and balloons that can’t be seen anywhere else, plus more than 100 performers and appearances by the Minions and other favorite characters from Despicable Me, Madagascar and Shrek – and more. 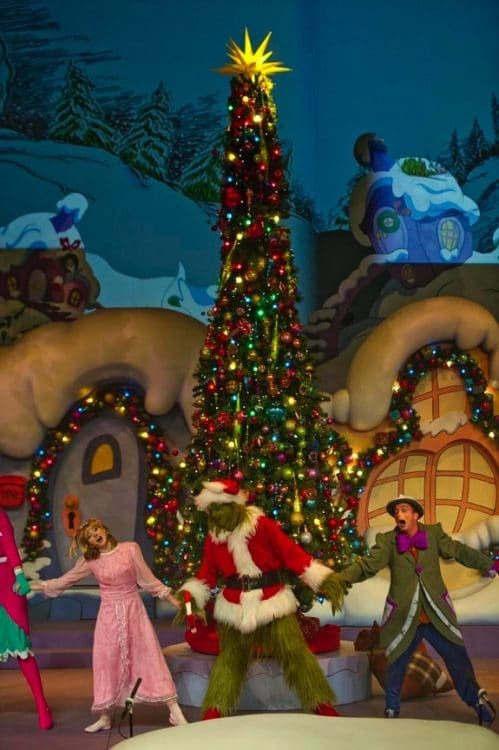 Watch the Grinch’s heart grow three sizes during a live retelling of Dr. Seuss’s holiday classic in the “Grinchmas Who-liday Spectacular”. Visitors can also join the merry Whos from Who-ville as they celebrate the true meaning of the season and bring Grinchmas to life throughout Seuss Landing at Universal’s Islands of Adventure. On sale now, guests can enjoy a festive breakfast with the Grinch and his friends on select dates.